S.C., across the continental shelf. 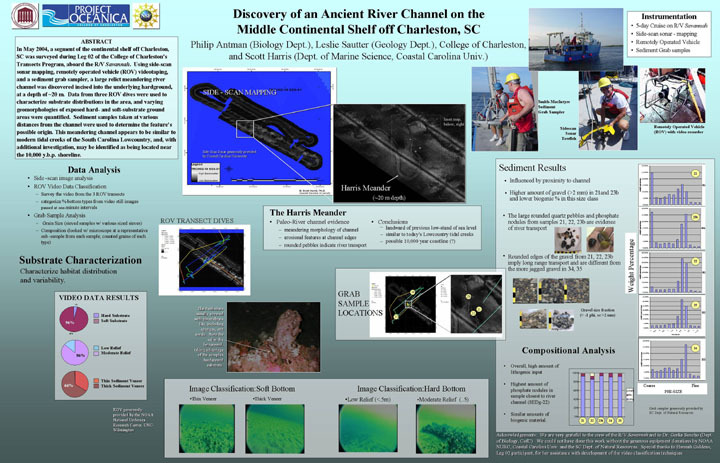 across the continental shelf off Charleston, S.C.
Carolina: Does diel vertical migration play an important role? Distribution of benthic meiofauna crustaceans across the continental shelf off Charleston, SC. with a bongo net: gear avoidance or diel vertical migration? continental shelf off Charleston, South Carolina. distribution on the continental shelf off Charleston, SC.